Managing Director of Jumia Travel, Mr Kushal Dutta, has disclosed that the foremost online travel agency records double digit growth on a monthly basis. 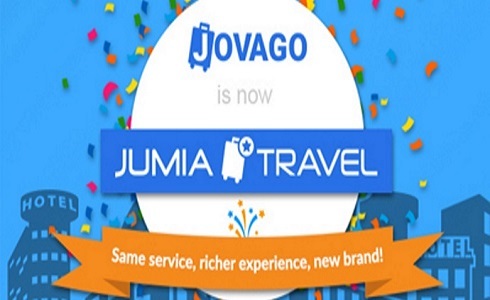 Mr Dutta, during a media chat last Friday at the company’s office in Lagos, stated that Jumia Travel has grown 4,000 times from where it started, saying the growth has been double digit which the organization achieved every month. Explaining what the firm does, Mr Dutta said Jumia Travel offers accommodations ranging from guest houses to luxury hotels that meet the need of both the higher and the middle classes set of customers. “We democratize hotels in Africa. We are not only for the rich, but also for the poor,” says Dutta, who expresses that the company prides itself in having 300,000 hotels around the world. Jumia Travel is an online travel agency that provides online hotel reservations across the continent with its main office situated in Paris, France. The company was founded in 2013 by the E-commerce platform Africa Internet Group, now Jumia, and is now backed by MTN, Rocket Internet, Millicom, Orange, Axa and financial partners. Its operation started in Nigeria, the largest economy on the continent, and expanded to other African countries in 2104, starting with Kenya, then in Senegal. Recently, Jumia Travel expanded to Algeria. According to Mr Dutta, the company has won multiple awards as a pioneer in booking hotels online in Africa. These include ‘Best Hotel Booking Portal’ (Lagos 2015), ‘Leading Online Hotel Booking Company’ and ‘Best Use of Technology in Nigeria’, Lagos 2015 among others. Jumia Travel simplifies the hotel booking experience by allowing users to compare prices and amenities in a fast and secures manner. It also offers best price guarantee so customers are confident they are receiving the best prices in the market. Furthermore, the agency aims to democratize the travel by facilitating the movement of travellers within Africa and the world by providing accommodation, flights, and packages; becoming the One Stop Travel Shop in the continent.